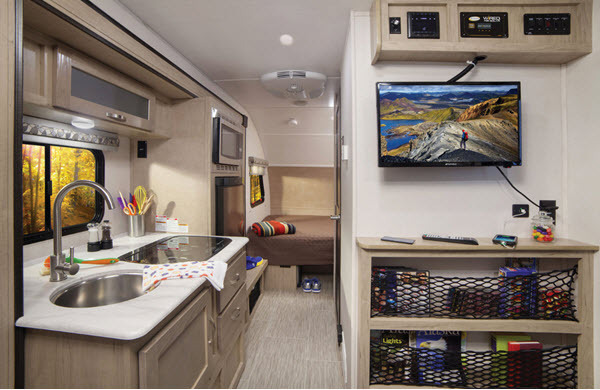 This R-Pod travel trailer by Forest River is perfect for your weekend get-a-ways. 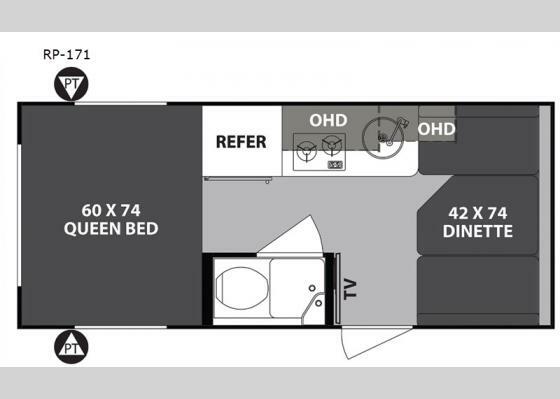 You can easily sleep three people with a rear queen bed and the front dinette folded down for the little ones. 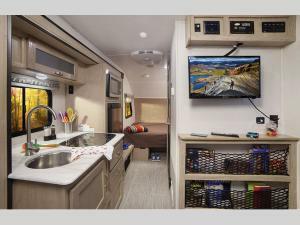 This unit includes a two burner cooktop and a refrigerator to store and prepare your food while you're camping. You will also find a convenient wet bath where you can easily get ready for your day of fun and adventure! 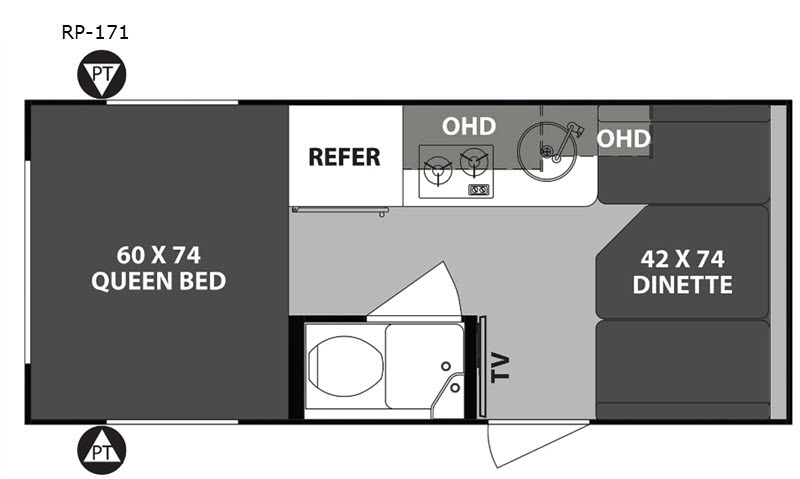 Come check out this travel trailer today!